What’s the first thing that comes to your mind when you think about your home décor? Is it the wall décor having amazing artworks or is it some antique furniture or maybe some lighting, wallpaper or carpet? Apart from these, do we miss something that is present in the house that is equally important as the other stuff? Why do we forget about the flooring? It is one of our greatest things present in the house that will help maintain our balance whatsoever. Hence, let’s make it our best friend and provide the best care that it needs. “Laminate flooring” or some may call it as “Floating Wood Tile” in some countries, is the talk of the town today and they are worth knowing all about. It’s catching everyone’s eye with its sleek décor paper comprising of wood grains flanked by the top protective layer and high-density melamine compound in the bottom layers. · It’s all roses for the DIY (Do it yourself) homeowners. You can start with its installation as per your convenience without taking help from professional contractors, hence reducing your cash outflow. · Installation is a child’s play if you have the basic tools to work with. 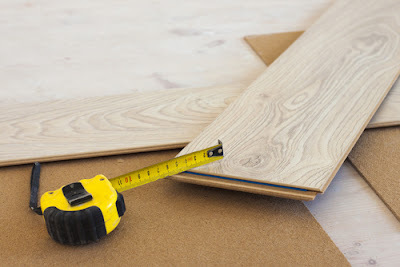 A saw, a mallet, some measuring device and a detailed installation guide is all that you need, and you are good to start with your laminate flooring installation. · The flooring area is measured, and regular pieces are cut from the laminated board to cover the space evenly. One just has to merge the pieces one after another in a uniform fashion. Once you join the planks, its settled for once and all. This new flooring’s installation is so concrete that you can immediately have a walk through over it and became relaxed that your installation is just perfect. What’s more? Pat your back! You are done with the installation! · Apart from other benefits, it gives you some added advantage over other types of floorings. 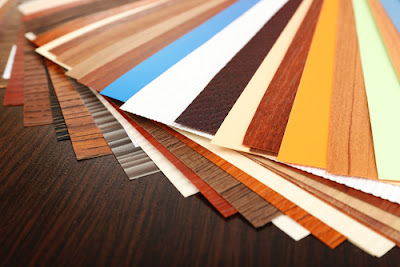 As compared to the other flooring materials, its parent laminated board is quite wider. It’s always a benefit to having some extra room. Isn’t it? · It’s quite an enduring piece and can withstand all wear and tear of the home problems. House floorings have to resist all kinds of rough usages, and a good flooring material should withstand every kind of uses that can come across in it’s life time. Laminated flooring is just a one-time investment and you are assured for the rest of your life as its sturdy and maintenance free. The several coats of the melamine compound in its layers are the reason for its durability and stiffness. · What cuts your cost more? This laminated flooring is UV treated, so that it maintains its color and hence, the cost of giving it a retouch time to time is avoided or minimized to a pocket-friendly budget. You always have a peace of mind with these floorings. · Thinking about cleanliness? Not an issue at all! Mild cleaning will suffice. 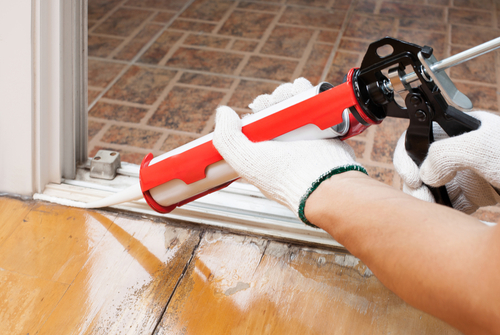 Water or window cleaning solution will work best. Just a small point to note here. Make sure to use a towel to dry clean it after using the solution, as moisture remaining on the flooring would reduce its life expectancy and would attract dust and dirt, making the facile cleaning procedure cumbersome. · Good news for the recent buyers. The laminated flooring makers have deployed methods to make the flooring water resistant which is being used in bathroom and kitchen areas. Thus, reducing the risk of damaging the flooring (swelling of floors due to moisture) and making the cleaning process a lot easier. This feature only adds to a more sophisticated and durable feel and finish to this flooring material. 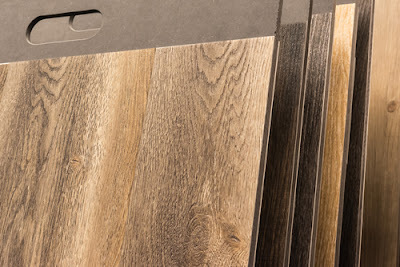 · Be it your living room, dinning rooms, guest rooms or your luxurious bedrooms, these laminated floorings have made their way all within your home. You will simply find no reason for not using these wonderful floorings at every corner of your house. · Thanks to the newly developed technology, due to which the bathroom and kitchen series of laminated floorings are becoming way popular. Because of their water resistant capabilities, these floorings are a joy to use in the areas that were never thought to be used at. · Thinking to match your carpet or your wall color with your floor? 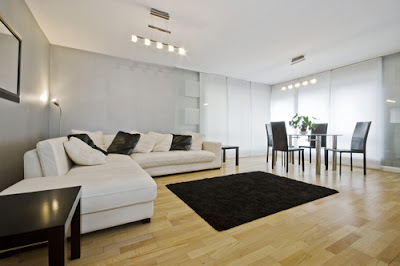 Not a hassle with the laminated flooring. It has an extensible and myriad range of colors, designs, and styles that you can create great combinations with them for all your rooms in the house. 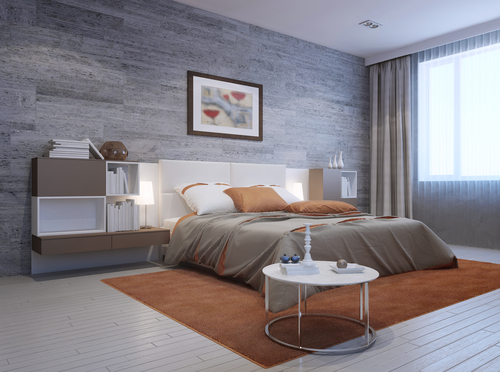 · Not want to invest much in flooring? Heavy costs need to be incurred in artworks, lighting, furnishings or other home accessories? Having a tight budget? Want to invest less and get good returns? Whatever your worries or concerns may be, the laminated flooring is a perfect choice. It’s like your ray of hope in times of distress. · It’s quite affordable and worth it. You don’t have to dig a big hole in your pocket to get this ultimate flooring. · Just the right choice of laminate flooring – stone, wood or ceramic, the color, design and a few bucks and you are good to start with your first DIY project. · A “laminated flooring” using family is a healthy family because it gives you a healthier living environment as compared to the other flooring materials. · It’s your family caretaker as it prevents the growth of mites and other insects that breed on food remains or spillovers. Hence, reducing your chances of becoming ill. Including this flooring to your home décor is a benefit in the long run. · Considering its potential advantages, it’s a panacea solution for all your flooring needs. This modern and precised flooring is the new way to a more sophisticated home décor. This would not only ameliorate the value of your favorite asset but would also place it at the state of the art level. It’s a perfect flooring to make your family members eminent, and neighbors spellbound. Isn’t it? Today’s economy is leapfrogging at an alarming rate. The changes in technology are constant and always increasing manifold with the blink of an eye. Changing with the change and adapting these new trends is the need of the day. Hence, don’t think twice and adopt only laminated flooring to give your home a touch of pure elegance. Is Vinyl Flooring Harmful To Health? The popularity of vinyl flooring has been rising each and every day and today, it is so common to find vinyl floors in practically all residential and commercial buildings. To be honest vinyl floors are more durable, they last long and are also relatively affordable compared to other options in the market. A lot of new developments in Singapore have definitely utilized vinyl floors not really knowing the extent of dangers they bring. However, the million dollar question today is related to the health implications of these floors. Are they safe? 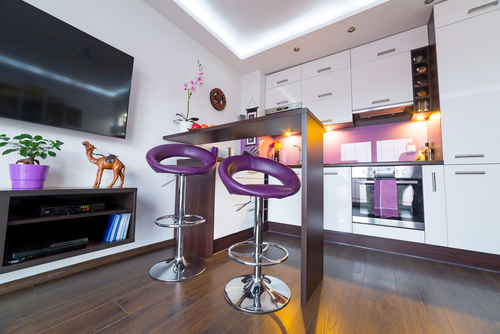 Could you be endangering your health by installing a vinyl floor in your home? Well, all these questions will be answered in depth in the points below. Why Are Vinyl Floors Becoming A Problem? Many people in Singapore already have vinyl floors and as such, you may wonder why concerns about the safety of vinyl tiles and other flooring materials are coming into question today. Well, there have been a number of studies that have actually shown that vinyl flooring contains a number of harmful chemicals. Studies show that vinyl’s floors have a certain degree of carcinogenic compounds arising form the Dioxins involved in the manufacture of PVC – the most predominant substance in Vinyl floors. There are also dangerous Phthalates and traces of toxic mercury. What Are The Dangers Of Vinyl Floors? Child poisoning – Studies have shown that vinyl flooring actually contains some of the major substances banned in children products. According to these reports, over half of all vinyl flooring products in home improvement stores today contain substances known as phthalates. This is one of the most harmful chemical for children and has often been banned in many child related product. Sadly, many kids today are exposed to the substances right under their feet all thanks to vinyl floors. Phthalates can cause Asthma – The Phthalates contained in PVC floors are not only affecting children but have also been blamed for causing asthma among adults. You have to remember that these phthalates are very toxic and the worst thing is they have the ability to remain active on your surrounding for a very long time. This simply increases their potency of creating health risks substantially. Exposure to fire can lead to deadly consequences – The most predominant chemical in vinyl floors is chlorine. When vinyl floors are exposed to fire or excessive heat, they may release a toxic gas known as hydrogen chloride gas. This is one of the most toxic gases that can affect your respiratory system and even lead to death. Carcinogenic Dioxins – Studies have also shown that a number of vinyl floors also contain cancer causing Dioxins that are actually released during the manufacture of PVC. These dioxins can integrate in the surrounding and stay there for years eating you slowly without even knowing it. Although there are no know cases in Singapore where the Dioxins in PVC have led to cancer, there is enough prove that he Dioxins have the potential of causing and accelerating cancer. Dangerous to construction workers and contractors – The people who are responsible for installing or repairing vinyl flooring stand the biggest risk of suffering from health related implications associated with these floors. Contractors come into contact with vinyl flooring practically every day of their lives and continuous exposure may lead to so many dangerous health consequences. The sad thing is very few construction workers and contractors are aware of the risk they are putting themselves in every day. Aside from the personal health risks that vinyl flooring causes, there is also the big environmental impact they can have especially if not disposed correctly. PVC is practically the most dangerous plastic in the market and of course it is a hydrocarbon. Although there are a few effective ways of disposing these plastic, the ordinary homeowner may not be ware of them. Many people may decide to burn or simply throw away worn out or old vinyl floors to the dumpster. This can cause a lot of environmental dangers. First of all, burning PVC releases hydrogen Chloride and also Carbon Monoxide which are two very toxic gases. Secondly, this will also play a part in increasing carbon levels on the atmosphere and hence contributing to climate change and global warming. • Ceramic Floors – Ceramic floors are a little bit cheaper compared to vinyl and while they may not be as strong, they are still a great option for any home. Additionally, it is very easy to clean ceramic floors. 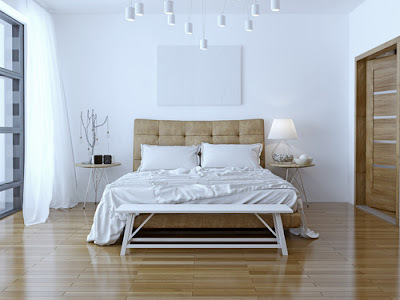 • Hardwood Floors – Hardwood floors are extremely durable and classy at the same time. However, they are the most expensive flooring options so make sure you set your budget accordingly. However, unlike vinyl, hardwood floors are 100% safe. • Stone floors – Stone floors may not be classy or elegant as ceramic tiles but with proper installation and a few decorations here and there, they can definitely do the trick. 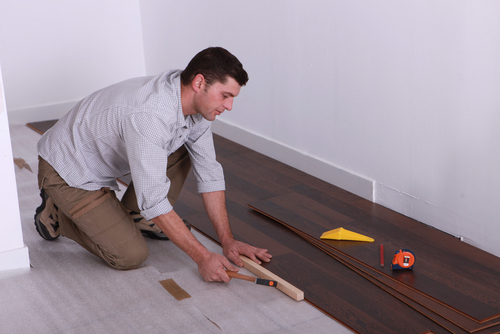 The installation process is easier and the flooring lasts very long. There is no doubt more research is needed to fully ascertain the extent of the risks vinyl flooring poses to humans. However, early warning signs are very clear. Vinyl floors may be strong, affordable and long lasting but then again, they have harmful chemicals that may not be ideal for any home or commercial space. Moving from vinyl floors to safer and risk free options is now a possibility for most people and looking at the negative health implications vinyl floors have, it is not hard to understand why. The great thing is that there are other great flooring options that can rival vinyl in practically all respects. In that case, you don’t need to risk your health or that of your children anymore.